Wedding pros, writing doesn't come easy for most. When you try to find the right words to explain what you saw, felt, or heard, you either get a jumbled mess of letters, you get a tons of paragraphs that read like a non-stop spoken dialogue, or maybe you are a natural writer and you get carefully crafted paragraphs. In whichever category you find yourself, telling your couples' stories through your business' blog or social media is powerful. 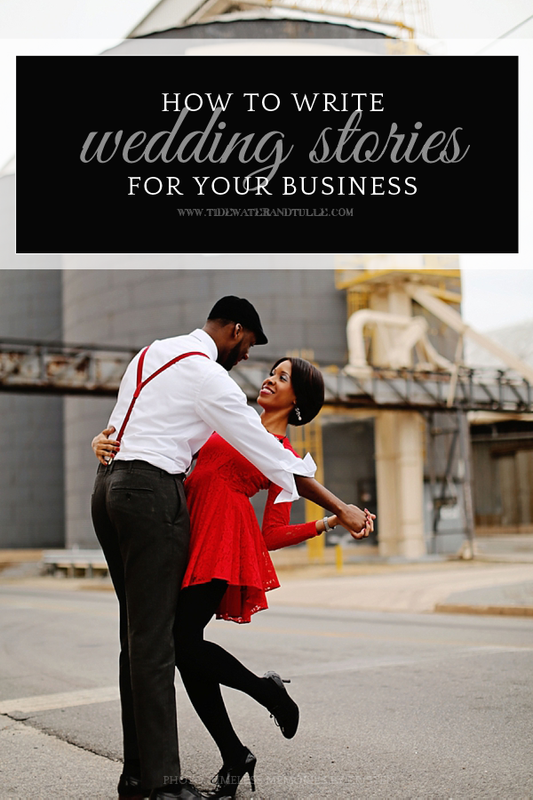 Stories not only document your business' story, but it helps your wedding brand tell a very powerful message: It shows an interest in your client beyond the contract. And that message is your strongest marketing truth. 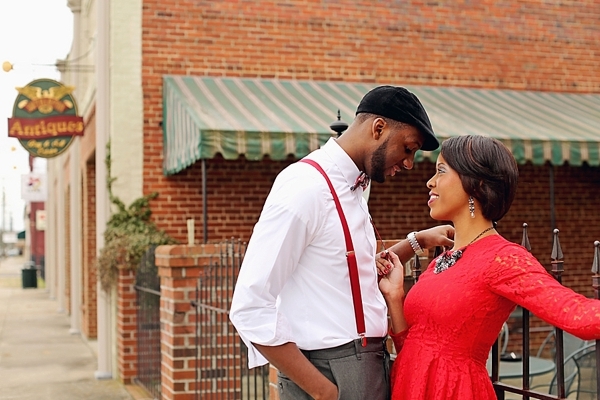 On the editorial side, the wedding and engagement submissions that are always a "yes!" tell me a story-- no matter the amount of photographed details involved. The written blurbs go beyond "I had a great time getting to know Yolanda and Jack!" and more into "Over three weeks, Jack collected glass bottles for the wedding day because he knew Acts of Service was Yolanda's love language." In college when my English major papers bled with red ink, there were core tips and tricks to overcome writer's block and to strengthen what you wrote... and now in the wedding world, these nuggets of wisdom are completely translatable and doable for wedding pros! While we have photos to illustrate our blog posts and social media presences, the words should also illustrate. Saying "The day was emotional!" just falls flat. Instead, transform and give 3D vision to that statement with "The moment they became husband and wife, Juani and Philippe squeezed each other with abandon." Create a questionnaire for your couple. You need to have the right ingredients to bake that story cake of yours! If your memory recall isn't your best friend or if you work with a larger volume of couples months and months apart, create a "I want to get to know you!" questionnaire. Ask questions like "How did you propose?" and "Please share three things that make you gaga about him." With a questionnaire, you will give yourself easy starting points for writing up your couple's story! If you friend or follow your clients on social media, look at the photos they post or things they share. When it comes to the online world, we only really share what is significant to us. Does he have a puppy? Is she graduating law school? Did they get engaged on top of a mountain? Is he constantly sharing food recipes? Or is she obsessed with sharing weekly 80s movie quotes? These seemingly "mundane" posts show a lot about a person and is instant fodder for a thoughtful story. Leave that perfectionism at the door. Trust me. From one perfectionist to another, you will get nothing done if you're stressing over commas, dashes, and run-on sentences. It's practically the source of all writer's block! Everyone has their own written voice. While obviously you want to be clear, professional, and intentional with your words, your blog and social media presences are the more personal sides of your business. Just share what's important to you about your couple's story. If you're just shaking your head at this blog post and throwing your hands up at the computer screen, I get ya. You might prefer speaking or talking with someone in person, and you just don't like to write, period. That's okay! But then outsource. Have a professional ghostwriter tell your couple's story. There are dozens of online writers who will help you craft an online voice and be your couples' storytellers. You will want to Google search the words: copywriter, ghostwriter, or freelance writer. Let your strengths focus on other aspects of your businesses while you let others work their word magic! What do you struggle with when blogging or sharing things on social media? Share in a comment below and any other tips you might have for others! Photos by Timeless Memories by Kristen. 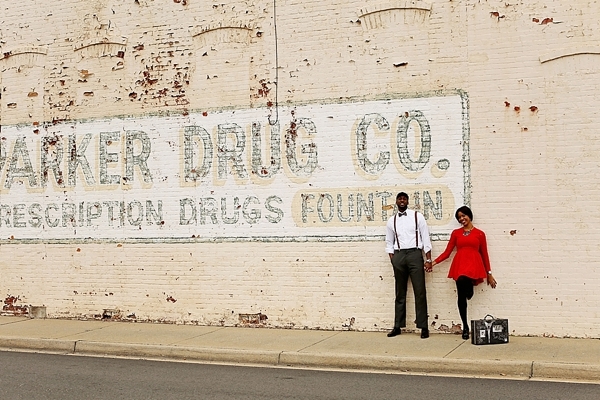 To see this full Franklin engagement session, head over to the full feature here on Tidewater and Tulle.